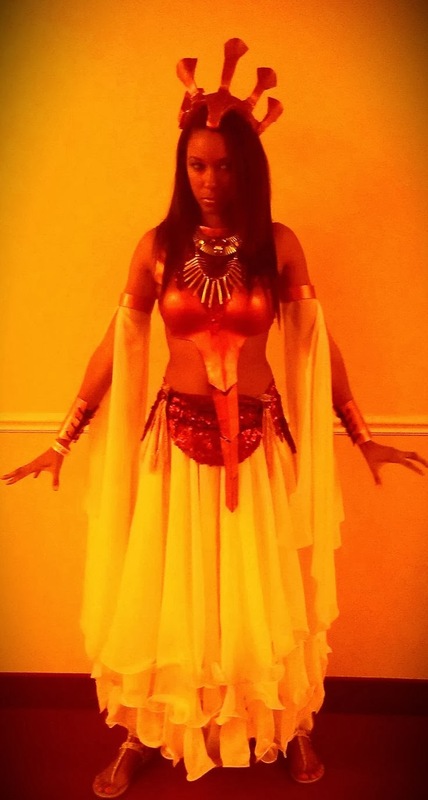 I absolutely love, love, love Aaliyah, Halloween, and making my own costumes. 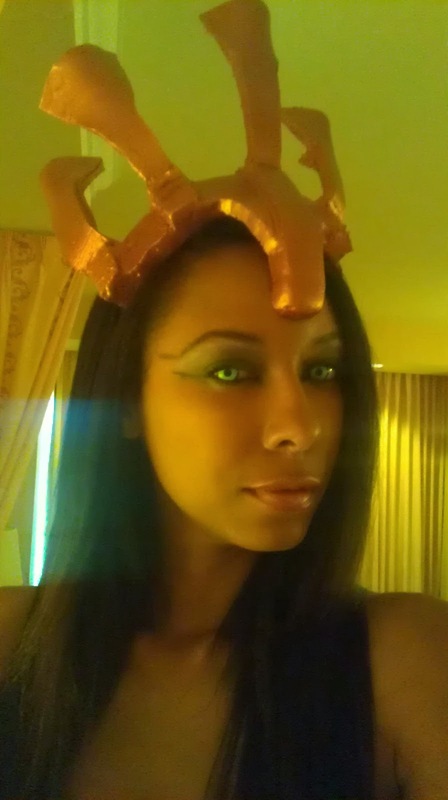 So it was only obvious that one day I would take on the task of becoming Akasha, Queen of the Damned! I actually made this costume earlier this year for Phoenix Comicon but I just had to share it with you because Halloween is right around the corner! 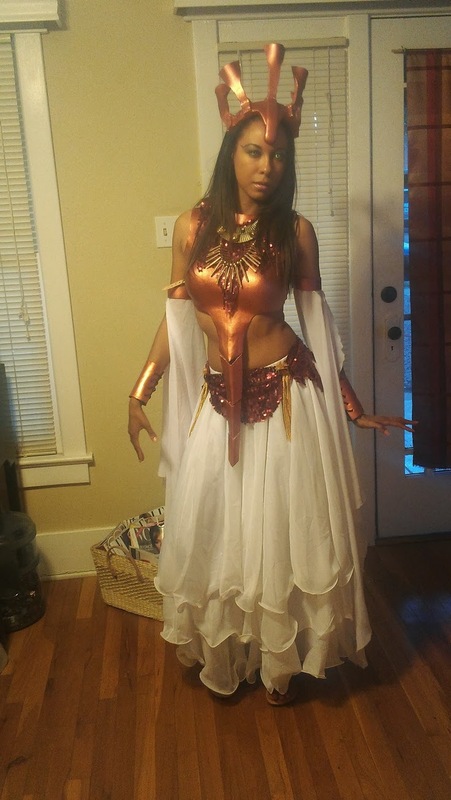 Below are some pictures of how I made this costume. 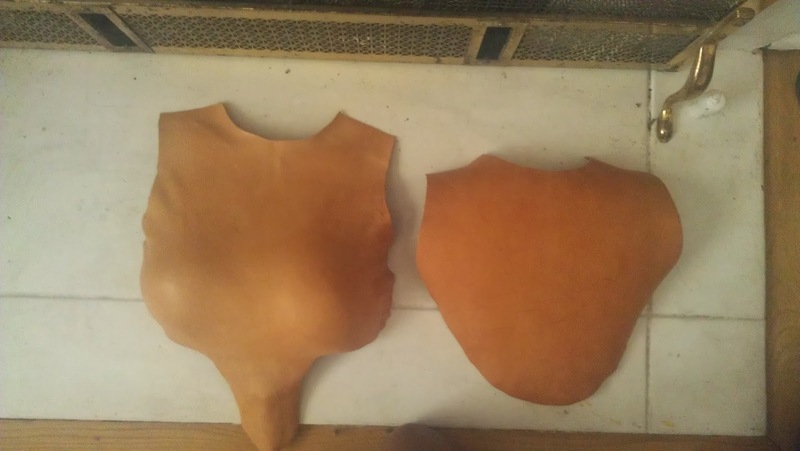 For the chest piece I decided to use leather for our local Tandy Leather store. Leather, when wet, becomes mold-able and then dries in the shape that you want. Here is the chest piece all dry and shaped. I hand painted the pieces with copper acrylic paint. 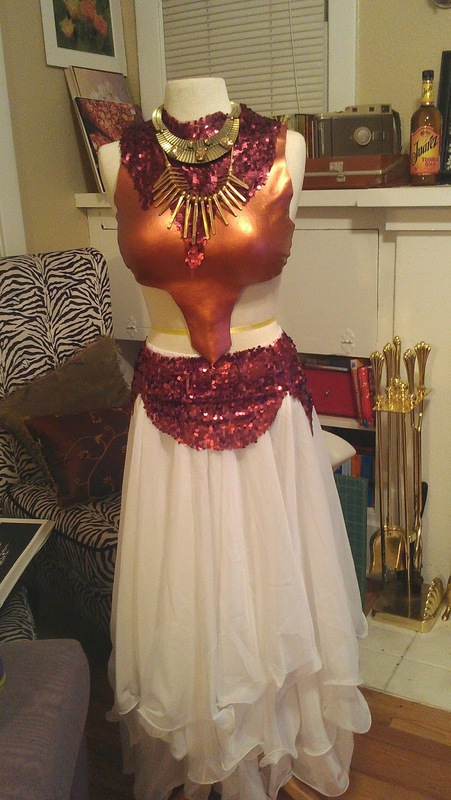 I used red sequin fabric to make the neck piece and the waist belt (see below). The jewelry and skirt were purchased because I ran out of time. 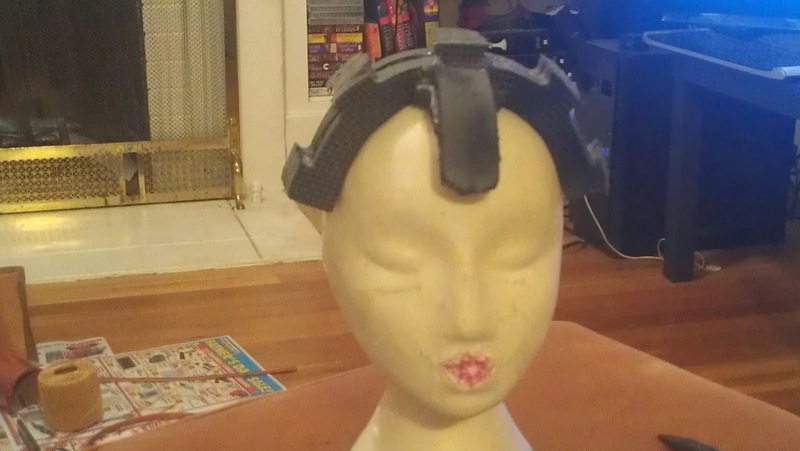 I used scrap pieces of EVA Foam for the head piece. 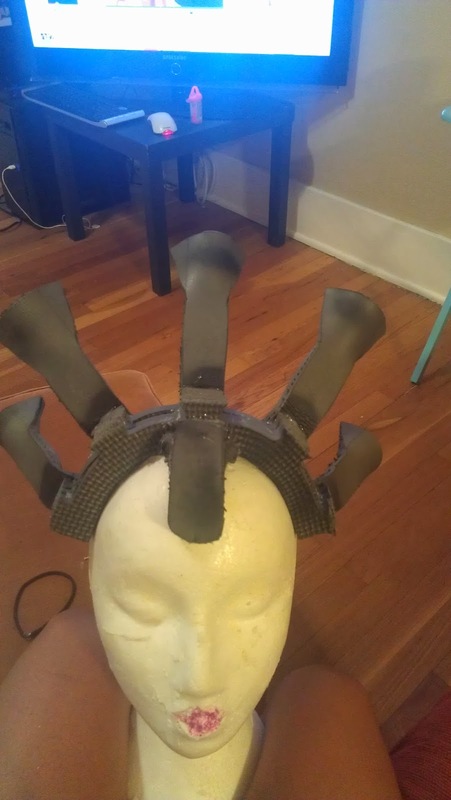 You can mode EVA foam by heating it with a heat gun, then bending it to the shape that you want, and holding it until it cools. 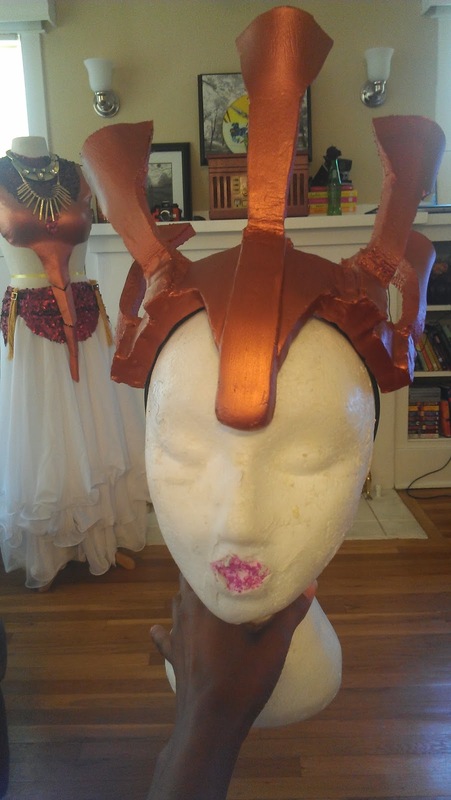 I hand painted the head piece with the same copper acrylic paint. Have fun coming up with your costume ideas and I hope you all have a safe and spooktacular Halloween! Make-up, vampire teeth, and contacts? Check! 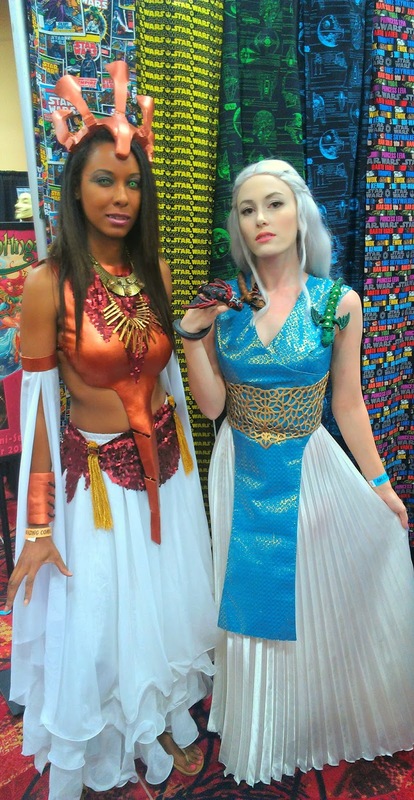 Here’s a picture of me with the Mother of Dragons – Daenery Targaryen (Game of Thrones) which is another awesome Halloween costume option! A blog where you can find a taste of sewing, fashion, crafts, beauty, and inspiration. I love this! this game me inspiration to do this this year. 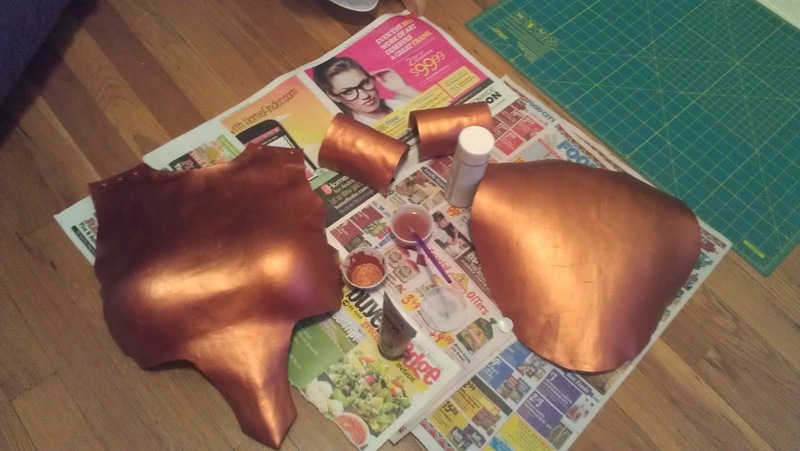 I will be using worbla to add more detail to the breastplate part. I found the skirt on Amazon, necklace on Nastygal.com, foam from any hardware store. Wow, is this something that you do for other people? Because if you do, I need a couple of costumes made for an anime convention that I’m going to in January 2015….Let me know. Awesome!!! 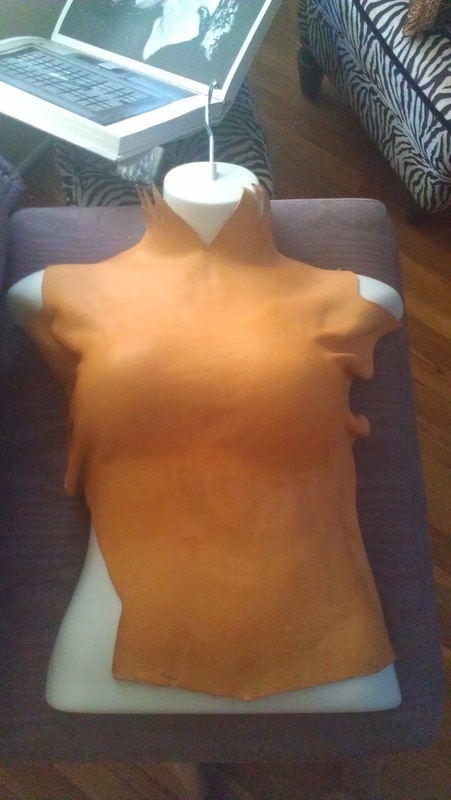 !What kind of leather did you use to make the top? Thanks Gina! I think i used a piece of scrap rawhide bends like this on here.